(g1) John 4:24 God is spirit, and those who worship him must worship in spirit and truth.” (h1) Romans 11:33-36 Oh, the depth of the riches and wisdom and knowledge of God! How unsearchable are his judgments and how inscrutable his ways! “For who has known the mind of the Lord, or who has been his counselor?” “Or who has given a gift to him that he might be repaid?” For from him and through him and to him are all things. To him be glory forever. Amen. (i1) Psalms 90:2 Before the mountains were brought forth, or ever you had formed the earth and the world, from everlasting to everlasting you are God. (k1) Hebrews 13:8 Jesus Christ is the same yesterday and today and forever. (l1) Psalms 115:2-3 Why should the nations say, “Where is their God?” Our God is in the heavens; he does all that he pleases. (m1) 1 John 3:20 for whenever our heart condemns us, God is greater than our heart, and he knows everything. (n1) Jeremiah 32:17 ‘Ah, Lord God! It is you who have made the heavens and the earth by your great power and by your outstretched arm! Nothing is too hard for you. 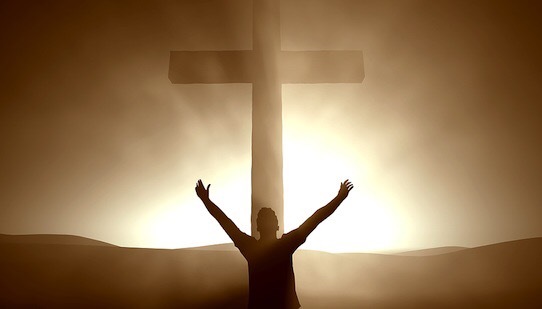 (o1) 1 Peter 1:15-16 but as he who called you is holy, you also be holy in all your conduct, since it is written, “You shall be holy, for I am holy.” (p1) Deuteronomy 32:4 “The Rock, his work is perfect, for all his ways are justice. A God of faithfulness and without iniquity, just and upright is he. (q1) Matthew 19:17 And he said to him, “Why do you ask me about what is good? There is only one who is good. If you would enter life, keep the commandments.” (r1) Hebrews 6:18 so that by two unchangeable things, in which it is impossible for God to lie, we who have fled for refuge might have strong encouragement to hold fast to the hope set before us. I love the question, “what is God?”. It is so common in our culture today to speak of “faith”; but faith in what? What is the object of our faith? It’s not so much about how strong our faith is, or whether we have it or not. The question is really, what is the object of our faith; what are we trusting in? Question four asks and answers the question of what God is. God is a spirit. He is immaterial. He can not be seen through material eyes. God is infinite. He can not be measured by man made limits and boundaries. He is eternal. He has never been born, nor will ever die. There was never a time when God was not. God is also immutable. This means he is unchangeable in his being, wisdom, power, holiness, justice, goodness, and in truth. This is our God. We can not redefine him. This is who he has revealed himself to be in the Word of God. We can only accept him, or reject him as he is. But we must never redefine him. If we redefine him and then claim we have faith in him. It is a faith placed on an object entirely different than the one true God. It is a faith that will fail you when you stand before his throne.